The word “influencer” has become synonymous with digital influence. However, we forget influencers exist “in real life”, and they’ve been shaping decisions since the beginning of humankind. After a recent personal experience with influence and jewelry buying, I started to reflect on consumer motivation and the meaning of influence. On Black Friday, I finally caved and treated myself to a ring I had been wanting since the beginning of the year. As someone who’s constantly looking at photos of beautiful jewelry, I’m surprised I don’t covet a new piece every day. Instead, I usually become obsessed with one piece until I finally buy it – and no amount of marketing or advertising will speed up or change my buyer’s journey. I first fell in love with this ring when I was introduced to it by my friend from Chicago. While she was visiting Los Angeles, we met up for lunch, and I was in awe of her style and sophistication, as I usually am – her hair always looks professionally styled, she’s always wearing some cool vintage accessory or item of clothing, and she has impeccable taste in jewelry. As she lifted the menu, I saw my dream ring on her hand! She was sporting the most beautiful citrine and gold bauble. The gemstone was what you’d call a “rock”, with a cushion cut and a warm, sunshiny color. As someone who doesn’t typically gravitate toward citrine or even statement pieces, I was shocked by my own reaction. “Your ring!” I exclaimed. My friend knows how much I love jewelry, especially colored gemstone jewelry, and without hesitation she slipped it off her finger and let me try it on. From that moment, I made it my personal mission to find that ring and own it. Months later, I’m happy to say that I was able to acquire it, and it’s just as stunning and breathtaking as I remember it. Of course, as a jewelry marketing nerd, I’m now not only enjoying my new ring but also digging deeply into my motivations for buying it. Did I only want the ring because I’m so in awe of my friend and aspire to be like her? Did her enviable sense of style make the ring look that much more appealing to me? I think it’s true that I do aspire to be more like her, but I also would never want to copy her – or want her to think I’m copying her. As a style star, she made the ring look extra beautiful. It worked perfectly with her outfit and other jewelry. 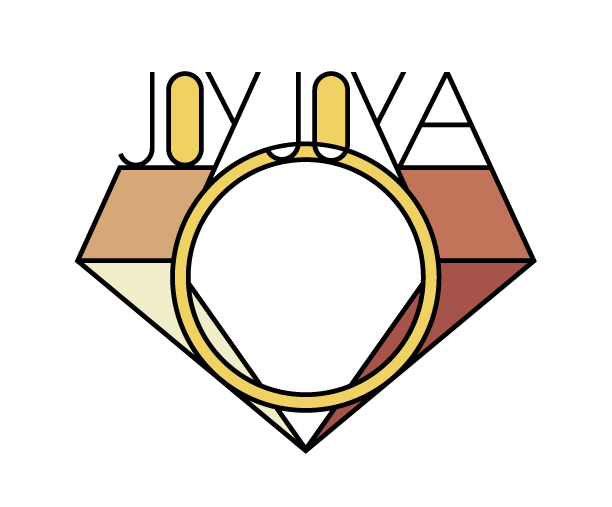 But I don’t think I would’ve bought the ring if I wasn’t sure that I could make the ring “my own” and incorporate it into my own style, which is slightly different from hers. In addition, I know for certain that I never would’ve coveted the ring so much if I had simply seen it in a display case, on an Instagram feed, or on the designer’s website. The photos I’ve seen definitely don’t do this ring justice. Basically, I’m telling you this story because I want to remind you that you should never forget your real-life influencers. Think of the women in your life who you admire the most – for their style, for their intelligence, for their success, for their creativity, for their strength, etc. Consider gifting them with a piece of your jewelry to honor them for their stellar attributes. As they move through the world, they’ll shine their light on other people – and bring warmth and personality to your jewelry. Other women will take notice. The influence isn’t only about the exchange of material goods – but about aspiration. I know that every time I look down at my new citrine ring, I will think of my friend and how she inspires and motivates me to be the best I can be every day – in my career, in my style, in my worldliness, and in my expansiveness. Don’t you want to connect your jewelry to a story like that?